If you are caught speeding in Las Vegas, Nevada, you can be fined and may have demerit points placed against your driver’s license. The amount of your fine or the number of points that you receive is dependent on how fast you were driving over the posted speed limit. Whenever your driving speed goes over the posted limit, it is considered to be a moving violation. 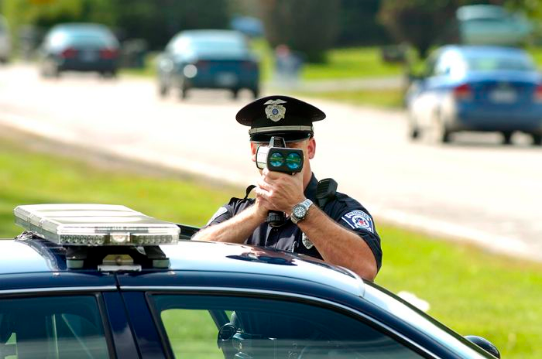 A speeding moving violation is considered as a type of misdemeanor, which can become a part of your permanent record. There is a chance that you can have your speeding ticket reduced by finding an experienced traffic ticket attorney in Las Vegas, Nevada. If you are caught driving in excess of the speed limit in Las Vegas, NV you will most likely be issued a speeding ticket. For assistance getting the ticket reduced or dismissed contact Attorney Bennair Bateman at 702-605-0505. Before you make a decision to pay or ignore your Nevada speeding ticket, it can help to learn about your rights from a knowledgeable traffic ticket attorney in Las Vegas. Following are some frequently asked questions that can help you to learn more about what type of penalties you can face for speeding in Nevada.